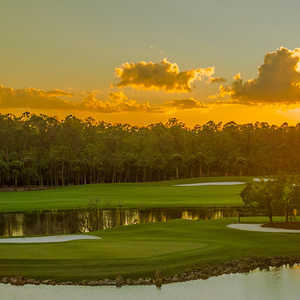 NAPLES, Fla. -- Naples is known for a lot of things -- mostly shopping, beautiful white-sand beaches and great food -- but it also has become a major golf destination with some of the best golf courses in Florida. There's water everywhere on The Rookery at Marco Golf Club's final three holes. Naples is quickly making its mark as the Ponte Vedra Beach or Orlando go-to place in southwest Florida. There are plenty of courses for any skill level. Some try to break you down the stretch, while others want you to go home happy. The final three holes are the ones that can make or break your round. Here are some of the toughest finishing stretches in Naples. 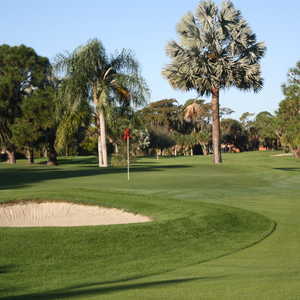 Like most courses in the Naples area, The Rookery at Marco can make you look for that extra sleeve of golf balls. There is water everywhere, which makes the final three holes as tough as any course in Naples. The trouble starts on No. 16, a 165-yard par 3 with no bailout. It's a forced carry to a peninsula green that has three pot bunkers in the back and water up front. The green is flat but small, so accuracy is everything. At 390 yards, the 17th hole doesn't seem long, but it's a monster with water down the right side and bunkers all the way down the left. The 441-yard 18th has water all the way down the right side with a lateral hazard on the left. There's a forced approach from about 170 yards and there's a bailout area, but it still requires a carry to the green that is one of the smallest on the course. The 18th is one of the toughest finishing holes in the state, said Bryan Berryman, the head professional at The Rookery at Marco. "It's as tough as it gets," Berryman said. "Our closing holes don't make it easy, but they are fair." Josh Brunot, the head professional at Eagle Lakes Golf Club, says this course might be the toughest in Naples -- especially over the final three holes. Eagle Lakes plays to 7,186 yards from the tips, but you have to keep it straight off the tee. No. 16 requires a carry of at least 250 yards over water and some tough rough. With water down the right and a narrow fairway, this 504-yard par 4 usually plays into the wind. It's one of the longest par 4s in Florida. No. 17 doesn't sound long at 419 yards, but it has another narrow fairway with out of bounds on the left side and water on the right. Use a 3-wood off the tee, to be safe, and set up an easy approach to a tiny green. The greens at Eagle Lakes are fast and there are bunkers everywhere. The 18th hole is a 576-yard par 5 with pot bunkers in the middle of the fairway. Most players lay up to avoid the bunkers and just try to shoot for par. 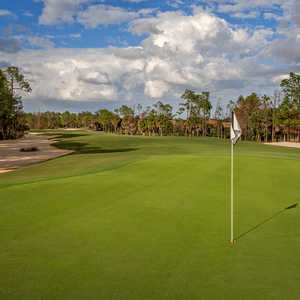 With new greens, Flamingo Island at Lely Resort Golf & Country Club is becoming one of the top destinations in Naples during its busy fall season. The final three holes at Flamingo Island are challenging, but the Robert Trent Jones Sr. design is fair. The 16th hole is a long par 5 with bunkers everywhere. If your name isn't Bubba Watson, it's best to lay up for a short third shot to the pin. No. 17 is a 422-yard par 4 with water down the left side and a forced carry to a narrow green. The closing hole has one of the smallest greens on the course. At 411 yards, it doesn't seem long, but keep the driver in the bag because there's water on the left side and it's not worth the risk to try to gain a few extra yards. Arrowhead Golf Club isn't going to beat you up; in fact, it gives you a bit of a break on the closing holes. That's not to say it makes things easier, but you can catch a break and put up a decent score during your stay in Naples. "We have some of the easier closing holes around," said Arrowhead Head Professional Dan O'Neill. "The course is tough, but it doesn't beat you up too badly." No. 16 is a 398-yard par 4 with bunkers on the left. It's a pretty straight drive, but even long hitters shouldn't try to cut off too much for their approach. There's water on the right, so a decent drive that offers an approach of about 140 yards is the best bet. Next comes the 401-yard 17th, which O'Neill said is the toughest hole coming down the stretch. Water is all the way down the right side, and a decent drive leads to an approach to a tight green. The final hole is a 494-yard par 5 reachable in two with a wide-open fairway off the tee. There's water surrounding the green on the approach, but it's a great closing hole for the ambitious. Jeff Berlinicke is a golf writer based in Tampa, Fla. He writes for multiple publications including the Tampa Tribune, Golf Fitness Magazine, and the Associated Press. He has also received multiple honors from the Florida Press Association.